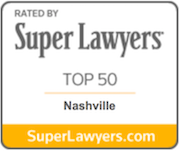 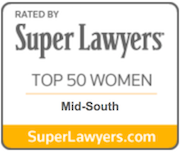 Selected to a list Top 50 Women Lawyers in the Mid-South in 2012 by Mid-South Super Lawyers/ Memphis Magazine, Rebecca Blair enjoys an AV Preeminent Peer Review rating in Martindale Hubbell. 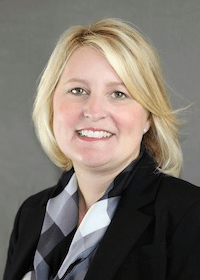 Rebecca Blair was recently selected by her peers for inclusion in The Best Lawyers in America© 2019 in the fields of Business Litigation and Personal Injury Litigation-Plaintiffs. Ms. Blair has been listed with Mid-South Super Lawyers in the area of Plaintiff's Personal Injury Litigation every year since 2009. 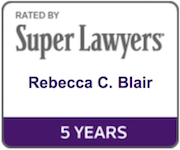 Rebecca Blair was recently selected by her peers for inclusion in The Best Lawyers in America© 2019 in the fields of Business Litigation and Personal Injury Litigation-Plaintiffs.